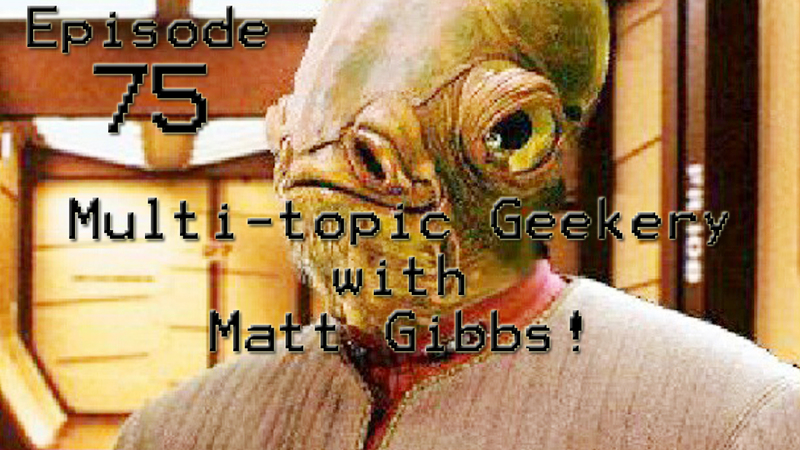 Episode 75: Multi-topic Geekery with Matt Gibbs! Sweet! We have Matt Gibbs back on the podcast! A few weeks ago, Matt sat our Boss Monkey Troy down to talk about all the things to help him get out of his medicine-induced apathy and to get back into the realm of the podcast, and this was the result! They talk about movies, TV shows, and end with an epic battle between the Guyver and Iron Man!